If you ca n make that gift a bit more pleasing then this would add your chances to impress a Leo by a considerable margin. They like to accept gifts in crowded places and always seek to be the center of attraction. For couples, it is necessary to keep in mind that, if anyone of them are Leo then it is must that they propose each other in some crowded place instead of vacant and lifeless areas. You need to be extra cautious before selecting gifts for Leo and need to know the person well. 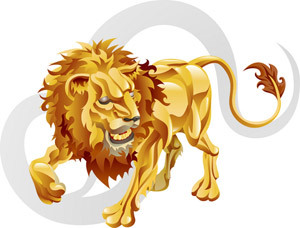 Leo generally is comfort loving persons who want to have relaxation and comfort through their actions. They are quite bright when it comes to choosing colors and are always in need to get followed by their fans and well wishers. They are quite aware of their public appearances and always try and make them perfect for any public encounter. It is the ornamentation which makes Leo quite happy and gets going. You could always take bait to a Leo by giving them a diamond, ruby or topaz studded jewelry, which could make them more subtle and beautiful. If you are still wondering about what a Leo must get to become pleased, you could go further down to find it out. Here you could get a list of items which would make you familiar with the gift items they like the most. Clothing and accessories are big friends of Leo. They always wanted to look perfect and choose various colors which suit them. They are more prone to bright colors and like to be on spotlight. Dramatic styled lingerie and other garments with stylized designs are also loved by Leo. Apart from clothes you could also make them happy by giving accessories to them. You could either give them, grooming products or matching accessories to make them look more vibrant and beautiful. A pedicure voucher or a manicure gift coupon would surely make her feel nice and in that way you could show your love and care towards Leo. Along with clothes and accessories, one thing that also excites Leo the most is quality food. They love to wine and dine at some fine restaurants munching on various selections of food items. You could give them a box of chocolate or a well branded champagne to make her feel special. Celebrations with Leo are quite easier as they opt for food that is best in quality and they love to get out and have fun. They are very moody as well and your gift should reflect your mood and desire as well. With all this and more, you may remain sure that any one of these would surely be liked by Leo. But if all of them fail apart then you need to take help of music. Take Leo to a music concert or gift them some great music CDs or DVDs. This would surely make them happy.